The St. Joseph Indian Normal School operated from 1888-1896, and was owned by the Bureau of Catholic Indian Missions in Washington, D.C. It was designed in imitation of the Carlisle Indian Industrial School in Pennsylvania, which was founded nine years earlier. The St. Joseph School was a “contract” school supported by an annual federal per pupil subsidy to promote Indiana education, making it a relic of an era of state-church partnership now largely forgotten. It was one of two such Indian schools in the state of Indiana (with the other being located in Wabash, IN). To understand the context and significance of this location, it is important to break down what a “normal school” is as well as an “Indian school.” A normal school is one that educated its students on the “norms” that are to be instilled as teacher. The idea of a normal school is one that is dated and has largely fallen out of use, more than likely because of the popularity of other schools systems, such as secondary school and state colleges. Meanwhile, Indian schools bring a much more horrific baggage with them. As alluded to earlier, these were schools that were largely used by Americans during the late 1800s and well into the 1900s to “civilize” and assimilate Native American children to white society and the Christian religion, which largely meant stripping them of their own tribe’s culture and education. Thankfully, these schools have also fallen out of fashion. 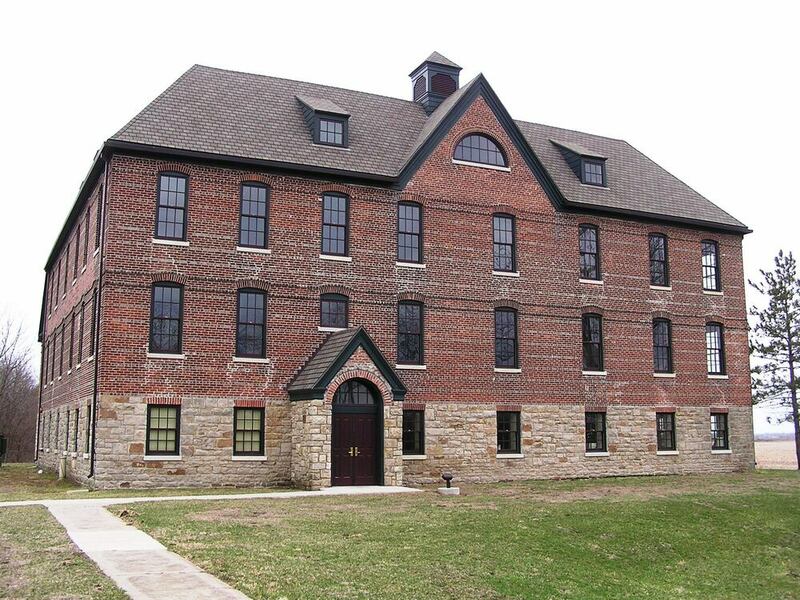 Although the building served as the Indian School for only eight years, it did not experience change or alterations until 1937, when it was re-modeled to serve as a residence hall for students at St. Joseph’s College. The exterior of the building remains largely the same, while the interior was thoroughly renovated to accommodate the living quarters of college students. The building is now known on the college’s campus as Drexel Hall. The St. Joseph Indian Normal School was added to the National Register in 1973. Indiana Division of Historic Preservation and Archaeology, “St. Joseph Indian Normal School,” Discover Indiana, accessed April 25, 2019, https://publichistory.iupui.edu/items/show/362. Published on Feb 27, 2018. Last updated on Apr 2, 2019.